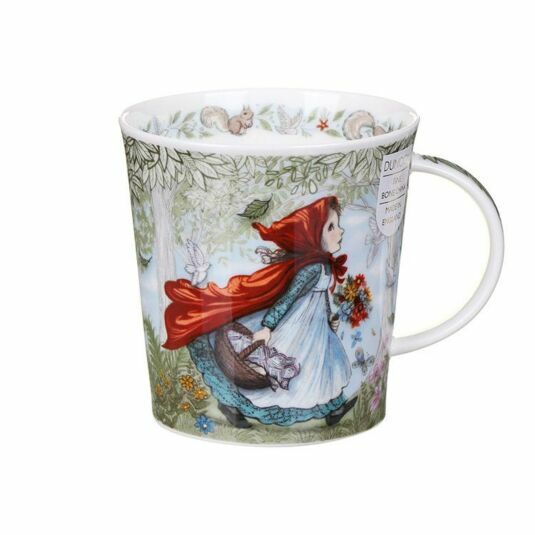 Enter the magical and mystical worlds of some of your favourite fairytale heroes with this collection of fine bone China mugs from artist Patricia MacCarthy and Dunoon. 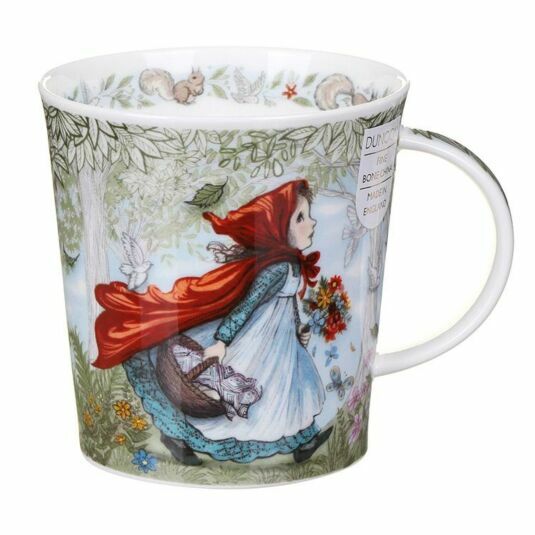 This mug follows the bold and brave adventure of Little Red Riding Hood as we find her trekking through the forest, basket in hand and signature flowing cape around her shoulders, on the surface of this mug. A surround of blue and green forestry creates a magical feel to the piece, whilst a circular row of grass land surrounds the interior rim. Beautifully finished off by further continuation of the design on the handle, this piece would make a magical gift for any fan of the fairytales, both young and old alike. Patricia MacCarthy graduated from Brighton Art College in 1983, with a BA Honours Degree in Graphic Design. Since then she has worked as an Illustrator (now author too) for Children’s Books, Greeting Cards, Licensed Products, Prints, Posters, and Private Commissions. Patricia lives and works by the sea near Brighton, with her husband, the internationally renowned Fantasy Artist, John Avon, and her two inspirational sons.